An Afton woman wanted in Waynesboro on abduction and theft charges is now in custody. Officers and detectives with the Albemarle County Police Department located Whitney Renee Allman today at a residence near Scottsville. She was arrested without incident. ACPD was alerted to her whereabouts after receiving information from the Augusta County Sheriff’s Office, which had been leading the search for her. She is being held without bond in the Albemarle Charlottesville Regional Jail on the Waynesboro charges and a probation violation from Albemarle County. Previous Release: January 27 The Waynesboro Police Department has charged the father of fugitive Whitney Allman with two felonies after he threatened one of the witnesses in his daughter’s pending cases. Deputies with the Augusta County Sheriff’s Office arrested Wesley Ray Allman, 55 years old of Greenville, at his residence shortly after midnight on January 25. Allman is facing Obstruction of Justice and Threatening to Bomb a Structure because he telephoned a Waynesboro woman, who is a prosecution witness against his daughter, and threatened to kill her and blow up her house. The woman reported it to the Police Department shortly after receiving the calls Saturday morning. Wesley Allman is being held without bond at Middle River Regional Jail. 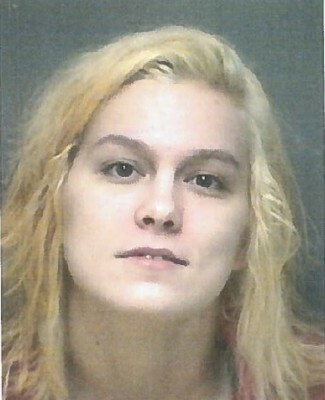 Previous Release: January 22 The Waynesboro Police Department has obtained three additional felony charges against Whitney Renee Allman, 22 years old, who remains at large. The new charges stem from a residential burglary that occurred prior to the abduction incident. Sometime on December 22, 2014, Allman broke into a residence in the Wayne Hills neighborhood of the city and stole four firearms and jewelry. One of those firearms was used in the abduction incident later on the 22nd. The jewelry taken was the engagement ring and wedding band given to the 47 year old victim by her late husband. Previous Release: December 23 A Waynesboro man wanted by police on three Waynesboro felony warrants was arrested on December 22, 2014 after threatening a 23 year old Grottoes man with a gun at the Shell Station at E. Broad Street and Charlotte Ave., and forcing him to drive to another location. The victim called 911 while driving to the Wal-Mart as the suspect followed him after brandishing a handgun and first demanding that he exit the car. The victim was able to convince the assailant to allow him to go to Wal-Mart where it would be better light and more people. The suspect continued to follow the victim as they neared the Wal-Mart area until the appoach of responding officers caused him to flee via west bound I-64.